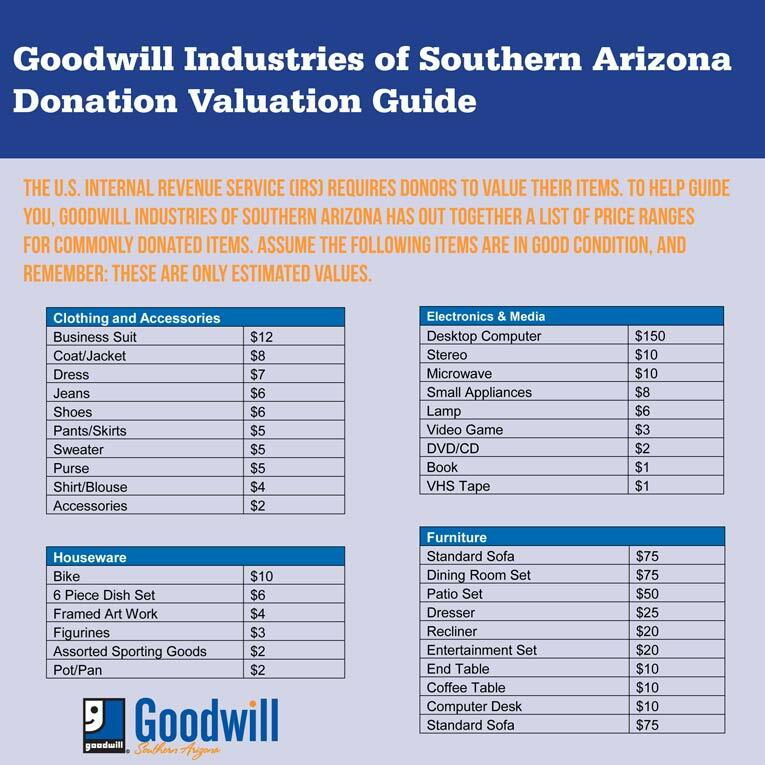 Goodwill Donation | Estimate the Value of your Donation. Calculate the value of your donation and learn how your support empowers people right here in your community. It’s so easy to do good, with Goodwill. Thanks to your generous donation of gently used items, people from all parts of Southern Arizona will given a little “hand up” to find much needed jobs, training, and services to support their families. Your donation also contributes to a healthier more sustainable lifestyle!